Endless Reader is an incredibly well-designed app for kids which allows them to learn the alphabet while having a lot of fun on their end. 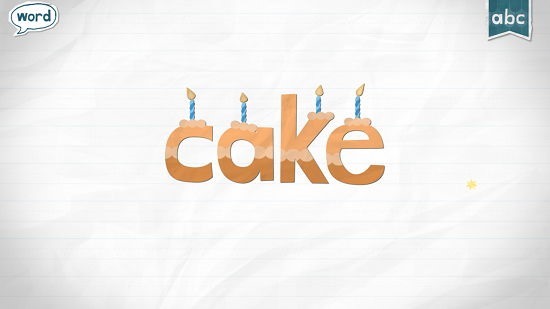 When you run the app, you will be able to select the letter from the English alphabet which you want to teach to your kids by swiping over the card like interface. Once you have clicked on a particular letter, you will be presented with an interface where you will be shown a word from the letter that you clicked on, and then the letters will fall off from the word. 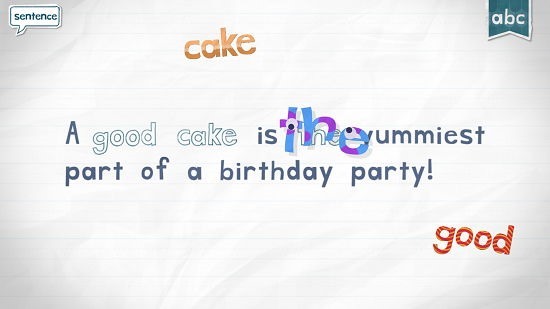 You have to then click and drag the letters over the blank spaces to complete the word. Then a sentence is shown with the word and a few words will fall off from the sentence, again you have to click and drag those words back into the sentence. Endless Reader is available for free from the Windows App Store. When you run Endless Reader on your device, you will see a screen like the below screenshot. Simply swipe over the cards to the letter that you wish to see. Then click on the particular card, and you will be brought to the interface as shown below. As you can see above, the word is shown with letters all over the place. You have to click and drag these over to the correct blanks. 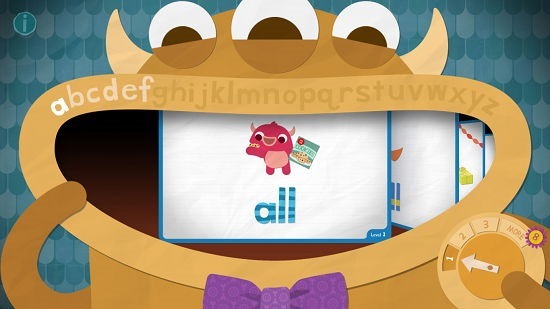 When you click and drag a letter, eyes and teeth pop over the letter and it emits a cute sound which the letter actually makes, for instance if you click and drag a, it will make the distinct “a” sound. Once you have dragged all the letters over to the correct spaces you can see the word. 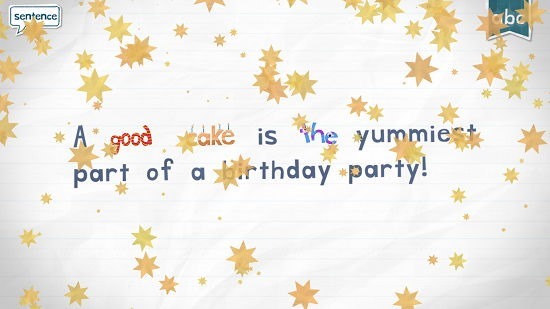 Now, you will be shown a sentence with the same word, but with a few words all over the place. Click and drag the correct words to their appropriate places as shown below. Once that’s been done, you will be shown the below screen. This sums up the main features of Endless Reader for Windows 8 and 8.1. 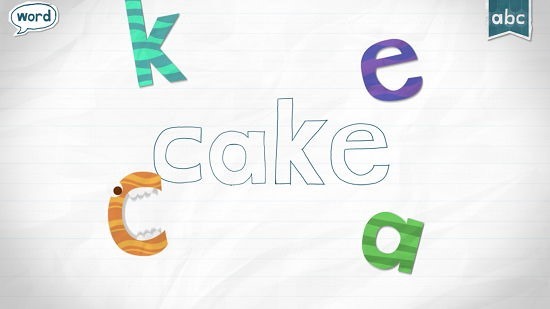 Endless Reader is a well-designed app for Windows 8 and 8.1 which allows kids to easily learn the English alphabet. You can get it from the link below.